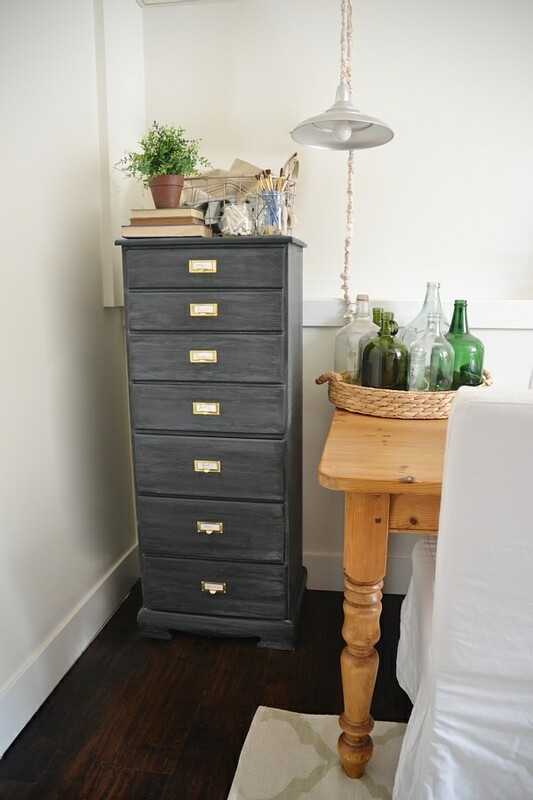 I love a good furniture makeover. It’s one of my favorite things. A few weeks ago I stumbled upon this set of drawers that was not in the greatest condition, but I had a vision for it. I knew it needed to be mine & I knew exactly what color it had to be & what hardware it had to have. I also knew the piece had to be in our office. It had the potential to be the perfect piece. I think this piece was about to be thrown away & I’m so glad I got my hands on it before it ended up in the dump. Our office isn’t anywhere close to being finished, but this piece has certainly brought us closer to being done. This was such a fun project & the whole process was perfect for me because you don’t have to be perfect & that’s how I roll in life. I’m the farthest from a perfectionist so a project that allows me to have that freedom is a great project for me. The process for this was pretty simple. 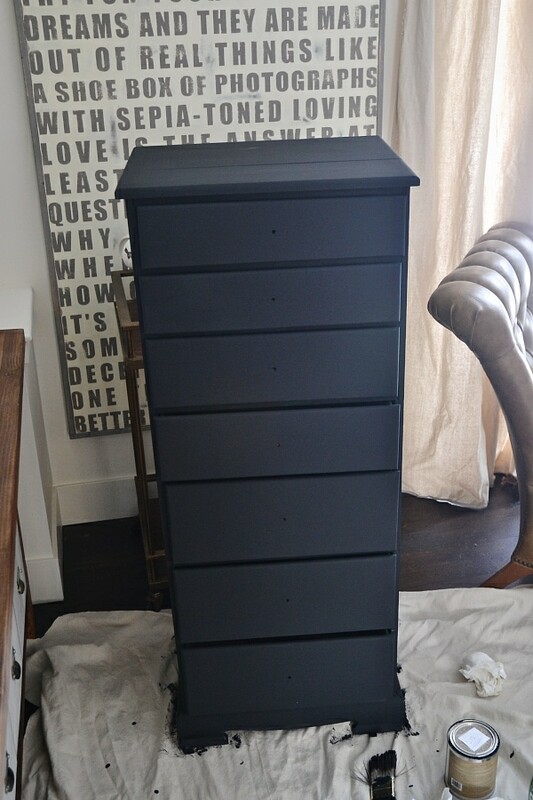 I painted the dresser in Maison Blanche black chalk paint in licorice. It took about two coats to cover all the lovely green. After the paint dried I rubbed chalk over the entire surface. 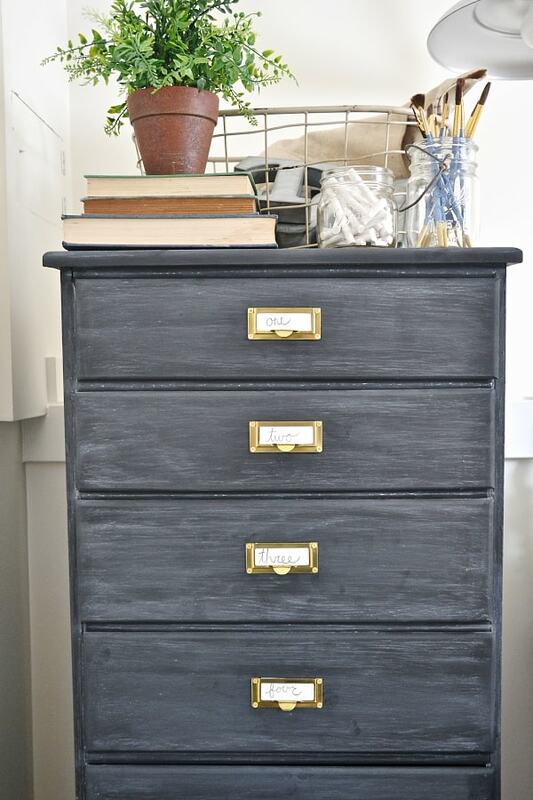 I then took a rag & rubbed the chalk off the dresser for that chalky black finish I wanted. After I was satisfied with how the piece looked I put on the new [antique] hardware that I found at a local antique store. For now the labels on the drawers are simply numbered, but when I start filling the drawers up with items I will label them more properly. After the hardware was put on I did go over a few parts of the piece with chalk again that I didn’t do as heavy & simply wiped off with the rag. So easy & the best part is you can keep doing this step until you are satisfied. Also in the future you can easily fix any areas you want. 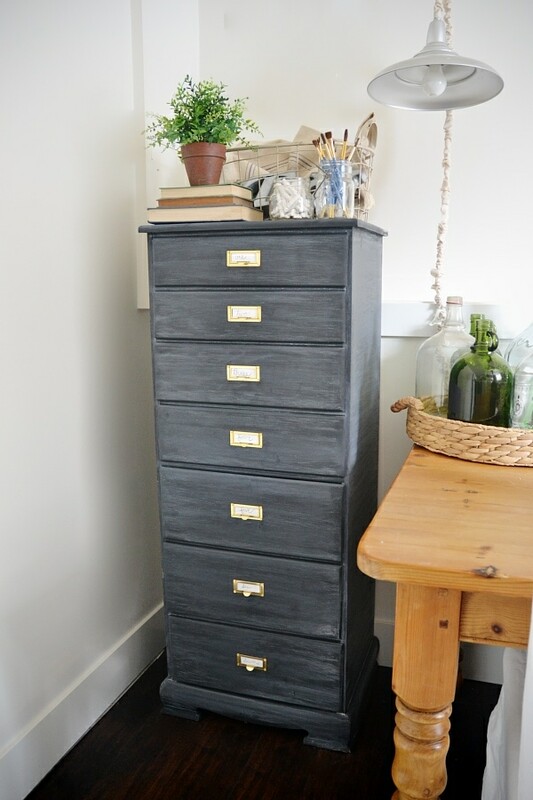 I love the finish of the black paint & the chalk combined. I have used this method in the past, but I was super inspired to do it again by the lovely Painted Hive. 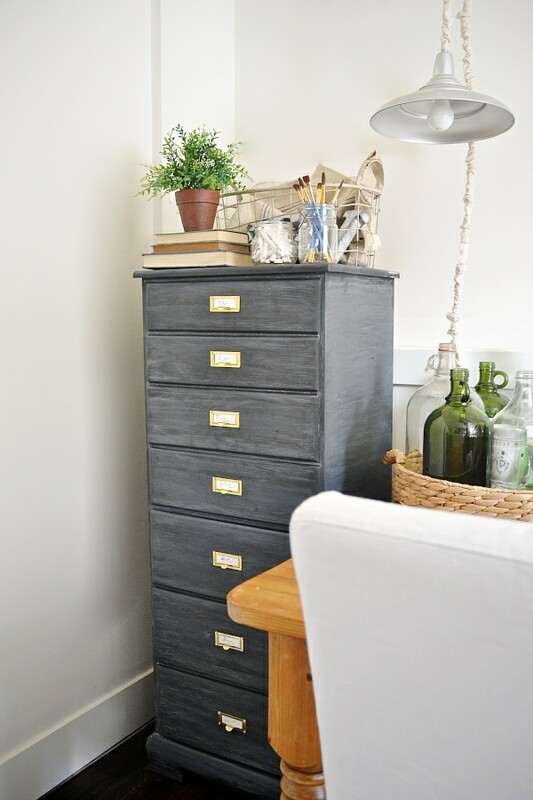 It gives that extra dimension to the black paint that is not quite gray & not quite black. I love that it also gives a lovely vintage feel. It’s for sure going to be a great focal point in our office when it’s finished. Love it! Not quite grey and not black. Like the hardware also. Wouldn’t have thought of that. Great idea !!!! Looks terrific!!! Looks awesome! What a good idea for the hardware! Gorgeous!! 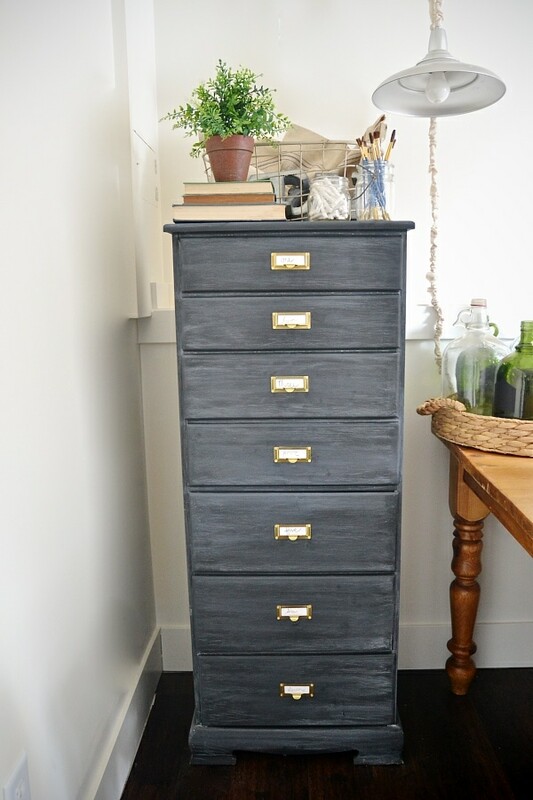 So you didn’t have to sand the old paint before applying the new chalk paint? It’s so cute! I’ve been hooked on label pulls lately. 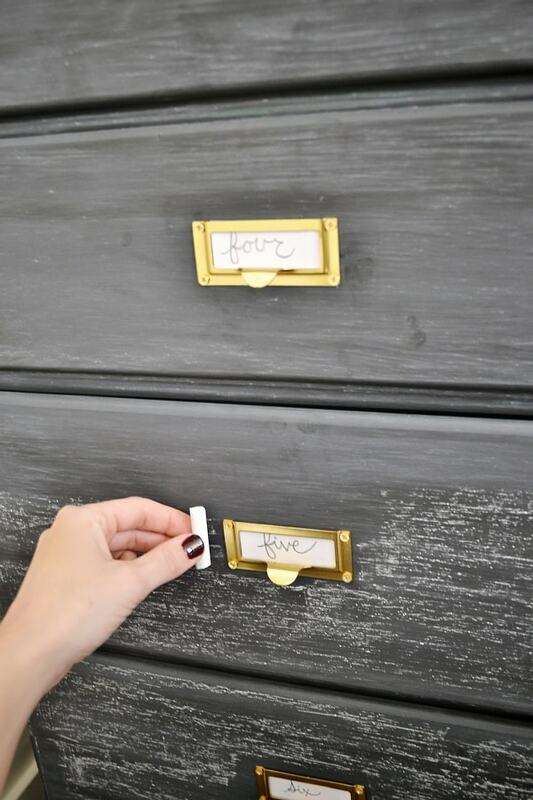 They’re so easy to organize everything in a vintage-y way. Love that you chose gold! 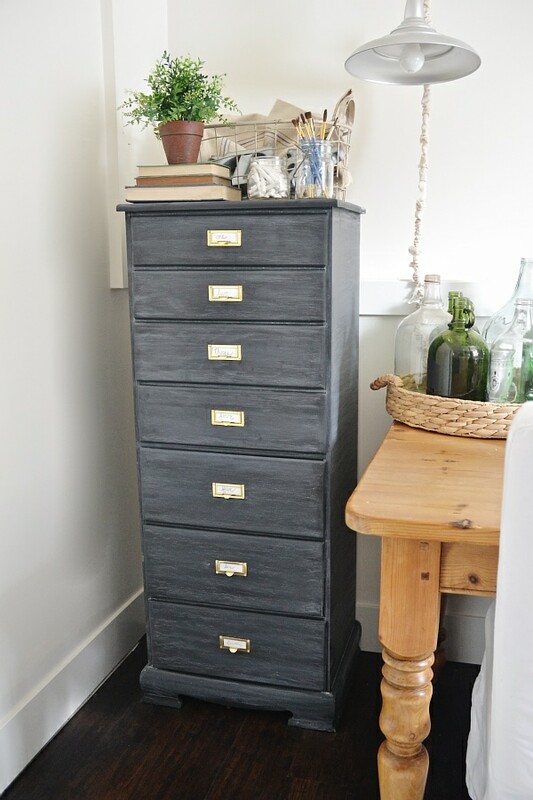 Such a great transformation, loving that chalky black finish, looks fabulous! We might have to copy this look! I love this piece, however, what caught my eye was the covered cord on that little lamp next to the cabinet. How did you do that?! I have a lampshade that I covered in strips of fabric for my six year old daughter’s room, but it looks unfinished with that ugly cord hanging there. THANKS! This is a new paint treatment for me and I can’t wait to do it. Problem is, I won’t be satisfied unless it is a chest like yours!! BTW, this piece started its life as a maple lingerie chest. LOVE IT!! You really inspire me to see the beauty in other-wise not so beautiful things. You did a wonderful job and I definitely think this is something I could totally replicate. Thank you for the inspiring post! Love the finish you used on this. I haven’t seen that used over the entire piece before…we’ll have to try that out! 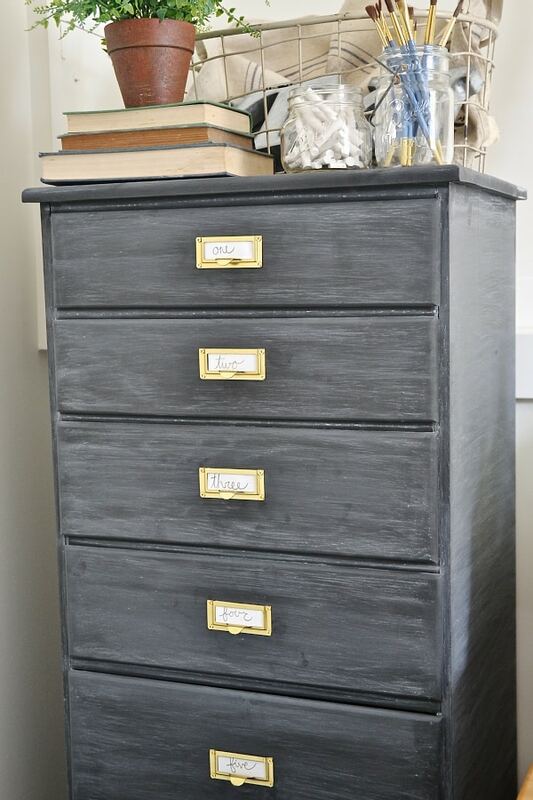 What a great drawers makeover! The colour is stunning too! Greetings, Storage De Beauvoir Town Ltd. 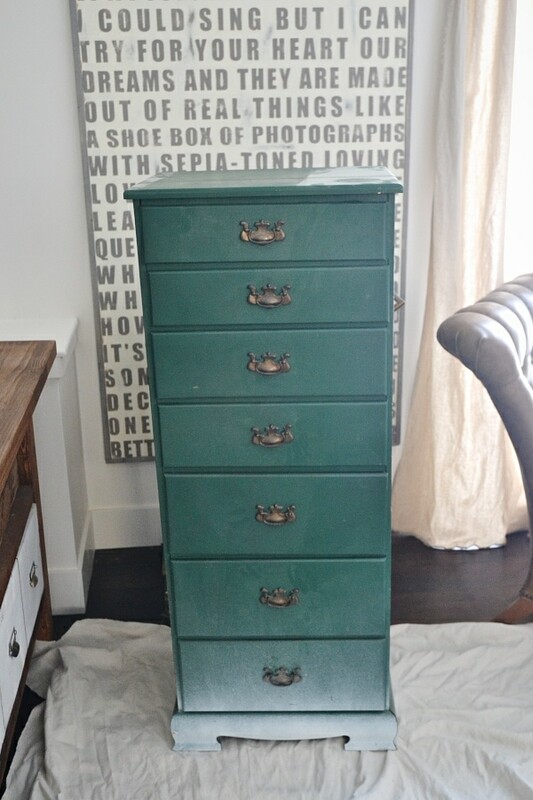 Question: Is it safe to leave the chalky finish as it is, or would it be better to apply a glaze/ poly on top.